Procurement Officers – 2 positions on permanent and pensionable basis. To assist the Manager – Procurement and Supplies in planning and coordinating procurement activities and ensuring timely availability of goods and services using transparent and accountable procurement practice to support Company operations. Identifies sources of supply of goods and services and obtains quotations. Prepares bid evaluation reports in readiness for submission to the Procurement Committee. Expedites the delivery of goods and services by assisting in the implementation and monitoring of progress of approved procurement plan. Ensures that all procurement transactions are documented and well maintained. Grade 12 School Certificate or equivalent. Bachelor’s Degree in Purchasing and Supply or professional qualification such as CIPS Level 6 Graduate Diploma or equivalent. A minimum of at least 2 years’ experience in managing procurements. Must have knowledge of the Zambia Public ProcurementAct. Must be a member of the Zambia Institute of Purchasing and Supply with a valid ZIPS practising certificate. Certification in FIDIC contracts and World Bank/ AfDB procurement guidelines. 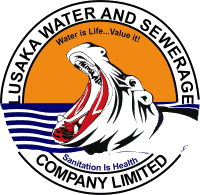 Lusaka Water and Sewerage Company values the provision of equal employment opportunities. Therefore, women, men and persons with disability are all encouraged to apply. All applications together with photocopies of certificates, and a detailed curriculum vitae should reach the Director Human Resources and Administration no later than 1 4th February 2019.